It’s been almost three years since my focus on Korean literature began, and those looking for recommendations on my site now have around seventy posts to explore, with the numbers of reviews probably exceeding that total. However, as that can all be a bit much for the novice to navigate, I’ve long wanted to fashion a gentler introduction to K-Lit for interested readers, and this is it. Over two posts, I plan to present a dozen books that the average reader might like, with brief descriptions and (where possible) hints as to further reading (most of the links are to my reviews). It’s a subjective list, of course, and there are bound to be many good books that I’ve missed, but I’ve done my best to include as many important writers as possible, even if (as is the case with my first choice) I didn’t really like the book myself… Sadly, I’ve had to limit my selection to prose as I’ve read very little Korean poetry, and I’m certainly not qualified to be helping anyone in that area. 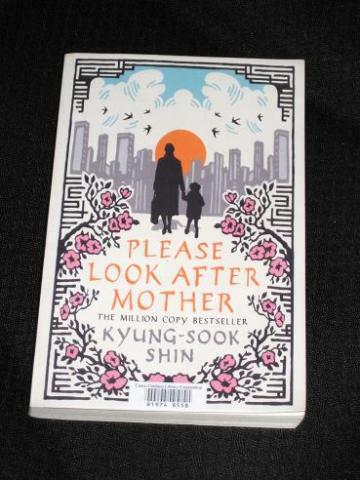 Much as I dislike this book (and regular readers will have seen me rant about it on several occasions), there’s no denying that Shin’s tear-jerker about a family’s reaction to their elderly mother’s disappearance in the big city is one of the biggest Korean successes in the Anglophone market. 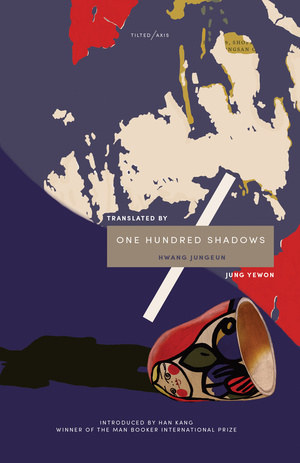 It won the Man Asian Literary Prize in 2011 and was longlisted for the Independent Foreign Fiction Prize the following year, and while it didn’t bring an immediate wave of Korean literature in its wake, it’s possible that the developments of recent years were helped along by this initial success. Personally, I much preferred the follow-up book in English, I’ll Be Right There (tr. Sora Kim-Russell). The setting of the social upheaval of the 1980s may be a little less accessible to readers new to Korean literature, but the story of a woman reflecting on her turbulent university days is a touching one. Sadly, I haven’t got to Shin’s latest book in English, The Girl Who Wrote Loneliness (tr. Ha-Yun Jung) as yet, but it has been fairly positively, if quietly, received. 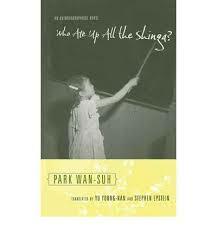 This is the only main suggestion on the list that I haven’t personally read, but Park was one of the biggest names in post-war Korean literature, and this is a book which often comes up in discussion. It’s an autobiographical novel covering the occupation and war years, describing the writer’s life in the country, written (no doubt) in Park’s usual brash, humorous style, and despite my less-than-successful experiences with her work, it’s a book I would like to try at some point. I probably would have already done so were it not for my lack of affection for her collection of short stories Lonesome You (tr. Elizabeth Haejin Yoon). While it’s one of the more popular books in the Dalkey Archive Library of Korean Literature Collection (according to its Goodreads rating, anyway! ), I found it a little bloated. However, I suspect that this is a matter of personal taste, and that her lengthy short stories of Korean women will find a lot of admirers. 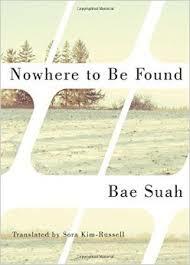 You may be surprised to see Bae so far down the list, but this is an attempt to introduce Korean literature to a general readership, and her work might not be to everyone’s taste. This novella, longlisted for last year’s Best Translated Book Award, is a spiky tale telling the story of a young woman coping with strained finances, a nagging family and a boyfriend who wants more than she can give. However, it’s the sudden, violent rip in the middle of the story, a scene shocking the reader out of their complacency, that sets the work apart. Yi Mun-yol is one of the biggest names in Korean literature, but I wouldn’t say that he’s made a huge splash in the West. 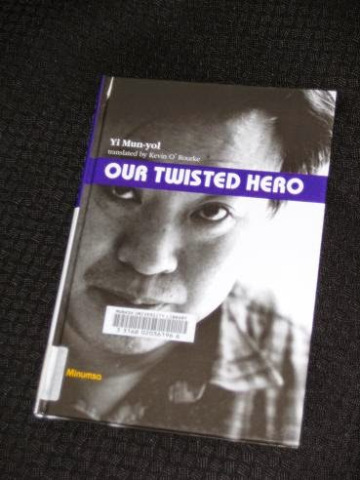 However, the novella Our Twisted Hero is an excellent book and probably his best-known work in English. It’s the story of a boy who moves to a new school and is forced to conform to the class rules, which largely involve obeying the feared class monitor. The story is highly allegorical, with a focus on the way average people are forced to toe the line and are helpless in the face of organised repression, but it’s also an enjoyable read. 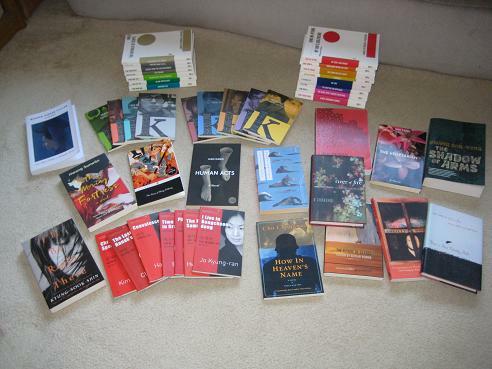 Several more of Yi’s books are available in English, including The Poet (tr. Chong-Wha Chung and Brother Anthony of Taizé), an excellent novel about a real-life wandering poet. More recently, his detective novel with a difference, Son of Man (tr. Brother Anthony), was released in the Dalkey series; hopefully, that will attract a few more readers to his work. While the suggestions so far have largely been for works by older writers, Hwang is a representative of the younger generation, and her short novel looks at the lives of the Seoul underclass, workers scratching out a living in old shops and businesses. However, there’s a dreamy air to the story as the characters are just as concerned with the strange behaviour of their shadows as with their daily lives. All this supports a love story that moves gently along, creating a highly enjoyable insight into Korean life without requiring background knowledge of the culture. O is one of my favourite Korean writers, and like many of her compatriots, she specialises in shorter fiction. 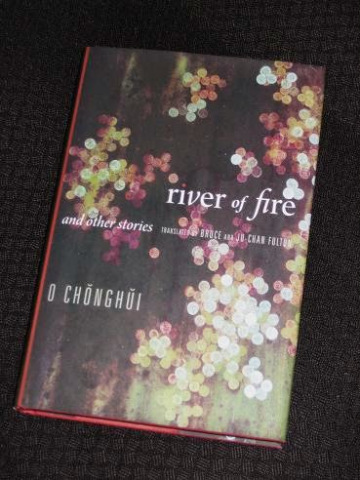 Perhaps the best way to sample her work, then, is the excellent collection River of Fire and Other Stories, a book containing a selection of her best work, some of which fall somewhere between short-story and novella length. Many of the pieces involve alternating past and present strands, with earlier events shaping the protagonists’ life, and most of the writer’s work examines women’s roles in a male-dominated society. There is more of O’s work out there, but much of it is buried in academic anthologies. One exception is her short novel The Bird (tr. Jenny Wang-Medina). It appears to be for young adults but is well-written and gradually becomes more complex as it nears the end of the story. Another excellent story, ‘Wayfarer’ (tr. Bruce & Ju-Chan Fulton), typical in its depiction of a woman whose past has destroyed her family life, is available both in the anthology Modern Korean Fiction and the collection The Future of Silence (which focuses on female writers). Great intro and, with the exception of your No. 12 (which I didn’t like much either), I haven’t heard of any of them. Very helpful, Tony. I’ve only read the first part of No 12. I’d like to try No 7. Thanks for this – I feel woefully inadequate when it comes to Koran lit so it will be very helpful! Have only read The vegetarian. Shall follow the list. Thanks a lot. Not sure why it’s taken me so long to get the O Jeong-hee collection into my reading pile, but I shall do so forthwith.